What is SpyJinx? I watched the five minute video announcing the title, which you see above, and I'm not really sure. Here's what I do know. This is a mobile and PC game being developed by ChAIR and Bad Robot, the latter being JJ Abrams' production company. ChAIR, of course, made Infinity Blade and Shadow Complex, and Abrams indicates that he's a big fan of the former during the video. The two talk for five minutes about… well… I don't know. My brain sort of shut down once I realized their debut of this game consisted of nothing more than really generic details, a chat with Geoff Keighley and nothing in the way of screenshots or gameplay. The best description of SpyJinx comes from the YouTube video's details. Powered by Unreal Engine 4, SPYJINX will be introduced on PC and mobile devices in 2016 and features a unique mix of action strategy gameplay, dynamic world building and RPG character development – all set in a thrilling world of espionage. I also know the game will enter a closed beta in 2016. You can sign up for that right here. 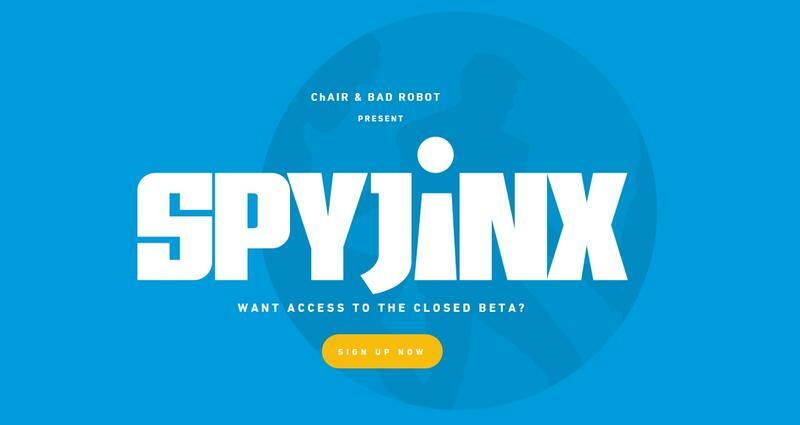 We'll have more on SpyJinx, including what it might be, as it comes.